Can You Guess? Andrew Lloyd Webber's Jesus Christ Superstar was a runaway hit. The recording, the movie and the play were very popular. But it might have been an even bigger hit if Webber's first choice to play Jesus had accepted the role. Can You Guess who Webber wanted to play Jesus? I'll try not to bug you for the answer, but I imagine you can get it. 1963 - Premiere of William Kraft's "Concerto grosso," in San Diego, Calif.
1973 - Premiere of Ginastera's Piano Concerto No. 2, in Indianapolis, with Hilde Somer as soloist. 1984 - Premiere of John Harbison's Symphony No. 1, in Boston, with the Boston Symphony, Seiji Ozawa conducting. 1985 - Premiere of John Harbison's Twilight Music for horn, violin and piano, by members of the Chamber Music Society of Lincoln Center (David Jolley, horn; James Buswell, violin; Richard Goode, piano). 1997 - Premiere of Zwilich's "Peanuts Gallery" (after the "Peanuts" comic strip characters by Charles Schultz) for piano and chamber orchestra, at Carnegie Hall in New York by the Orpheus Chamber Orchestra with soloist Albert Kim. All Product Descriptions and Quotes Regarding Products are taken from the Web Sites of the Suppliers. You are listening to a midi version of the Overture from Phantom of the Opera by Andrew Llloyd Webber. Sir Andrew Lloyd Webber was born March 22, 1948 in London. His father, William Lloyd Webber, was a composer and music scholar who taught at the Royal College of Music in London. Andrew�s mother, Jean Johnstone Lloyd Webber, was a piano teacher. Andrew learned to play several musical instruments when he was still quite young, and began composing songs at an early age. At his music lessons he preferred playing his own works to those of other composers. When Andrew�s aunt introduced him to musical theater, he fell in love with it and began composing music for his school plays. Andrew Lloyd Webber: The Best Of Andrew Lloyd Webber For solo violin. With standard notation and chords. 32 pages. In 1964, Andrew Lloyd Webber went to Oxford University to study music. In 1965, Webber met lyricist Tim Rice and dropped out of school to compose musicals. Lloyd Webber and Rice had their first taste of success with Joseph and the Amazing Technicolor Dreamcoat, whe the two wrote in 1968, when Lloyd Webber was only 19. The duo�s next hit was the rock opera Jesus Christ Superstar, which opened in 1971. Lloyd Webber's next venture was a musical called Jeeves, written with his new partner, Alan Ayckbourn. The work was not successful. 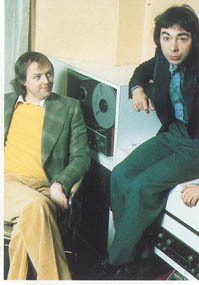 Lloyd Webber reunited with Tim Rice in 1975, and the two penned Evita. The work was based on the Life of Eva Peron, first lady of Argentina. It premiered in London in 1978. Once again Lloyd Webber had a success on his hands. 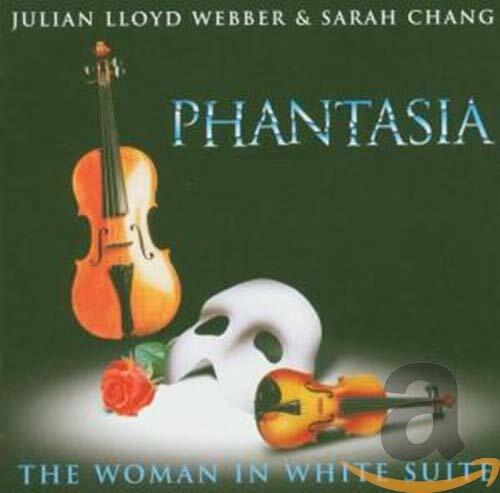 Andrew Lloyd Webber: The Phantom of the Opera (Violin) Composed by Andrew Lloyd Webber. Violin solo book for violin solo. With standard notation. 16 pages. Published by Hal Leonard. Cats - Violin/Piano By Andrew Lloyd Webber. (Violin). String Solo. Book only. 13 pages. Published by Faber Music. 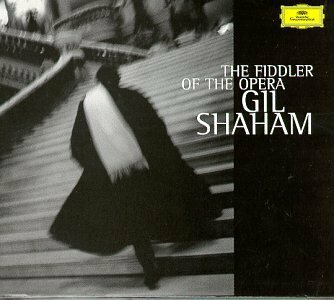 The Wordplay in the title Fiddler of the Opera makes you smile. But so will violinist Gil Shaham's performance of these favorite opera themes. The first person thought of to play Jesus in the show Jesus Christ Superstar was none other than John Lennon of the Beatles. Andrew Lloyd Webber's next production, Starlight Express, is the story of a child's toy trains, and takes place in the child's dreams as he sleeps. Written in 1984, Starlight Express features the actors skating across the stage on rollerblades. The Phantom of the Opera followed. Written with Charles Hart and Richard Stilgoe, it was a tremendous success in London and New York. 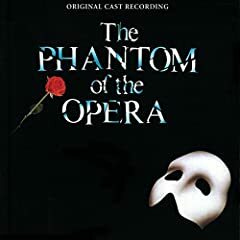 Like Cats, The Phantom of the Opera developed an extremely devoted following with its devotees seeing the show multiple times, often well into double digits. The Phantom of the Opera was turned into a movie in 1984. Lloyd Webber�s later musicals, Aspects of Love (1989), Sunset Boulevard (1993), and Whistle Down the Wind (1997) have not achieved the same success as his earlier works, but he is still looked upon as one of the most important musical composers of all time. Lloyd Webber has earned 7 Tonys (for Broadway shows), 3 Grammys (for recordings), and an Oscar (for movies). 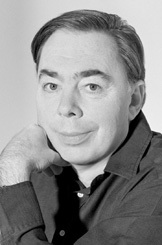 Andrew Lloyd Webber was made a Knight in 1992 and made an honorary life peer in 1997. The inspiration for Lloyd Webber's 1981 hit Cats was a group of poems written by T. S. Elliot. Cats set a record as the longest-running, most profitable production ever in both London and and New York. The show closed on Broadway, in New York City, on September 10, 2000, after 7,485 performances. The Original Cast Recording of Phantom is Remarkable!. 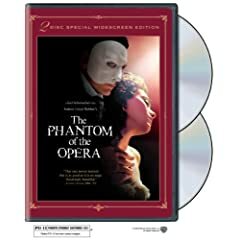 DVD of Phantom? Great performances all around!